My sister flew in to visit me a couple of weeks ago. She had recently retired and told me she was allocating some of her expanded leisure time to do “death cleaning”. I—the person who had a funeral folder at age 19—was understandably intrigued! A stimulating conversation ensued. The concept of death cleaning first made headlines in late 2017 by Margareta Magnusson, author of The Gentle Art of Swedish Death Cleaning: How to Make Your Loved Ones’ Lives Easier and Your Own Life More Pleasant. The short book got mixed reviews, but the concept definitely got traction. Sounds morbid, but it is really quite practical. One question Magnusson poses: “Will anyone be happier if I save this?” I immediately thought of my mom’s framed college diploma that has been sitting in a box in the attic for over two decades. Would I leave that to my sons to deal with (including my two framed diplomas)? As my sister and I were discussing the concept, my cousin chimed in saying she felt it was the height of ingratitude on the part of the survivors for not wanting to go through the deceased loved one’s material goods. Suddenly, I became aware that this could be controversial. I chose to take a step back and ponder my stuff. In one sense, this has nothing to do with my death. Intuitively, I know that going through my possessions in order to pare down has the potential to increase happiness because it affords me the opportunity to better see what is really important and what brings me true pleasure in life. I have some solid data from my move to the Philippines (with only a few suitcases in hand), and, 12 years later, from my move back to the States with a similar number of suitcases. I also know that I feel less stressed and overwhelmed when my living and working space is more stream-lined and organized. 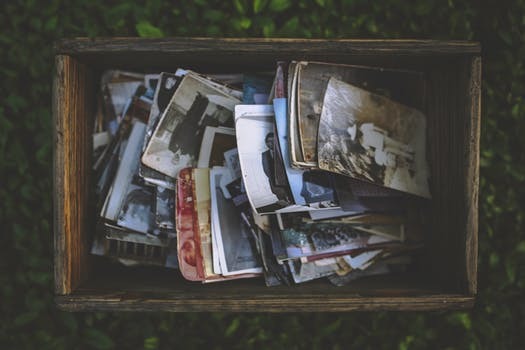 Magnusson offers a third benefit: getting rid of items can serve as a reminder that just as things don’t last forever, we don’t either. In our death-denying culture, this last item is not lost on me. Bottom-line: I have two adult sons. I’ve talked to them. I know they don’t want to have to go through all my drawers of odds and ends that I have been avoiding myself. I know that they would rather not deal with the boxes upon boxes of loose photos that I refuse to organize. And I certainly wouldn’t want their wives to have to mess with my stuff. As much as I have a great relationship with my daughters-in-law, I want to keep it that way…even after my eventual demise. I’m glad that my sister brought up the topic of death cleaning. Besides the obvious thought processes outlined above, I began thinking more broadly about transitions. As I come to the end of the year, I’m taking time to consider what long-standing commitments I’ve made that have run their course and need to be ended. As a result of reading Designing Your Life this year and processing it with a group of friends in my neighborhood, I’m experimenting with some new ideas to explore future possibilities (“Odyssey Plans”) and building some prototypes to examine questions about my alternatives. And, I’m scheduling some time during the holiday break to just pause and be silent. What about you? If this stirs up anything in you, don't brush it off. Take some time to pause and reflect. Then consider journaling or sharing your thoughts with a trusted friend.